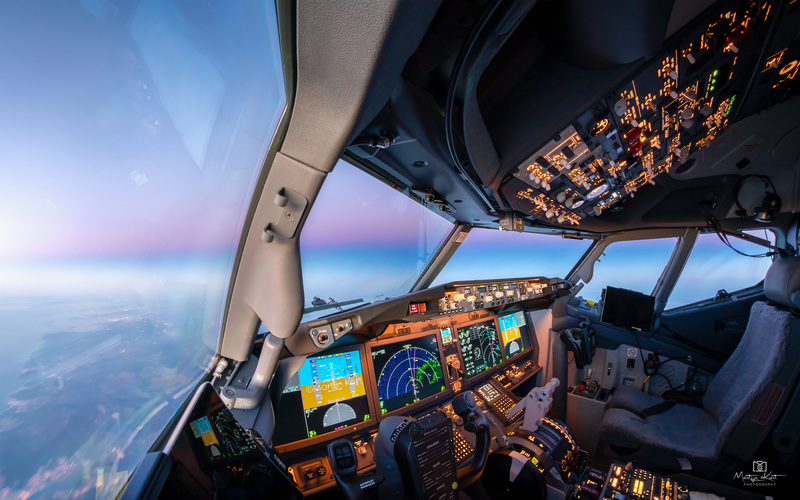 The best seat in an airplane is unarguably in the cockpit. 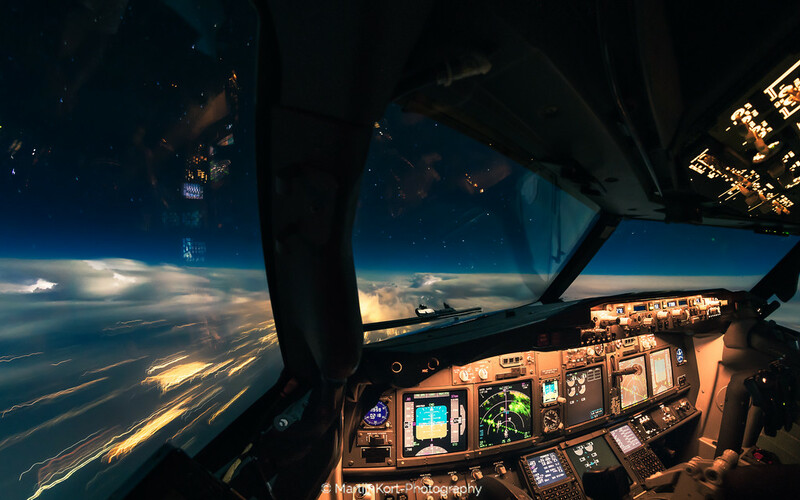 The views that the pilots have through their windows are simply amazing. 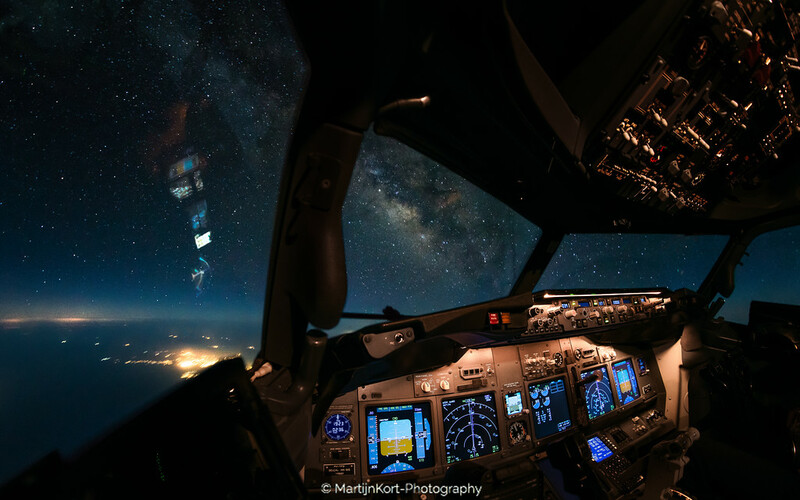 Sitting in the most amazing office of the planet, I am privileged to witness the most amazing views from the cockpit. 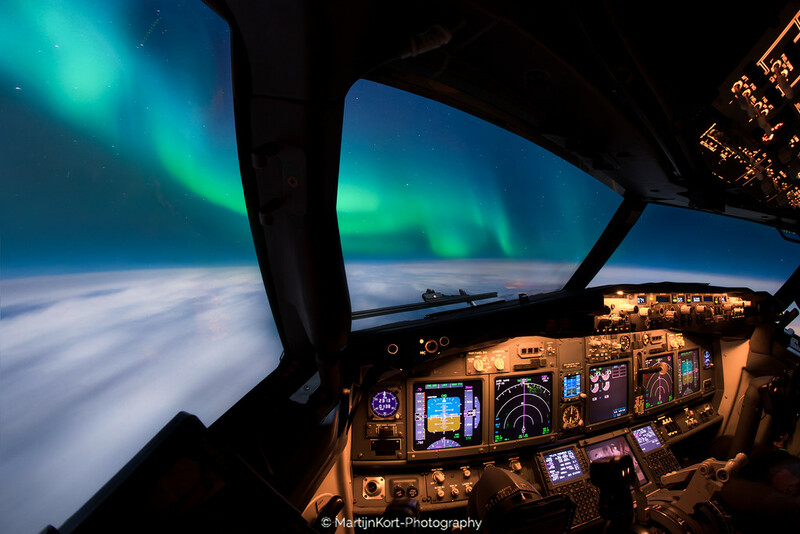 The views range from amazing sunsets to clear starry nights, from the Northern Lights to the Milky Way, amazing views over the empty desert or nothing but water when you fly over the oceans. 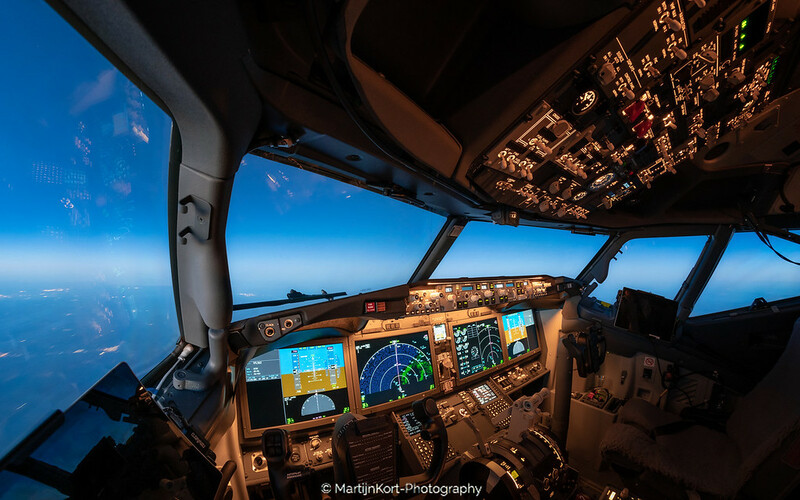 When the radio chatter is minimum and the cockpit is calm and quiet there is a powerful sense of solitude when you think about it that you are almost the only one up there at 38.000 ft, seeing this one of a kind view stretching thousands of miles over the horizon. Views that are unique and only last for a moment. 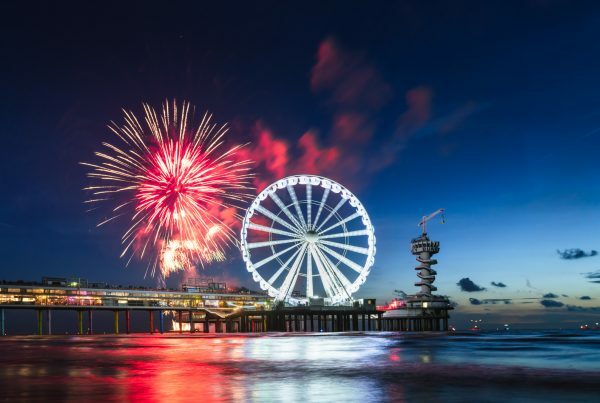 I feel a strong need to capture these unique and one of a kind views. 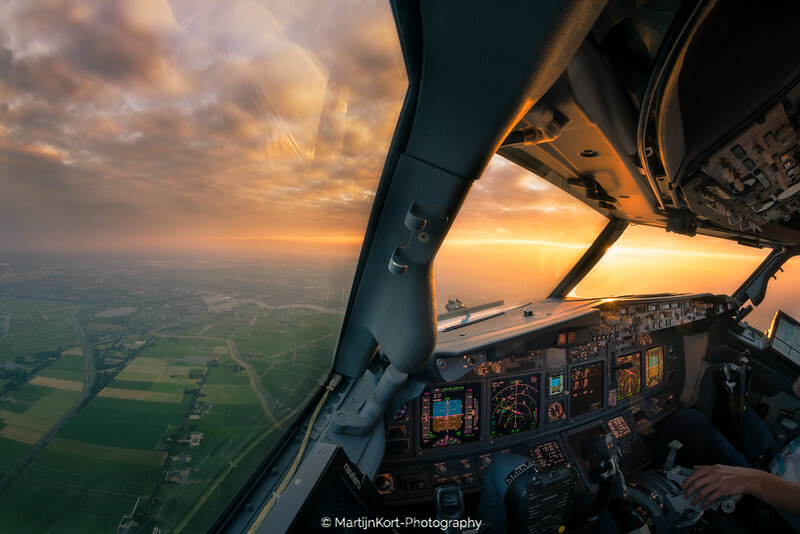 Combining these views of the world with the modern and complicated cockpits give a rarely seen insight into our world. 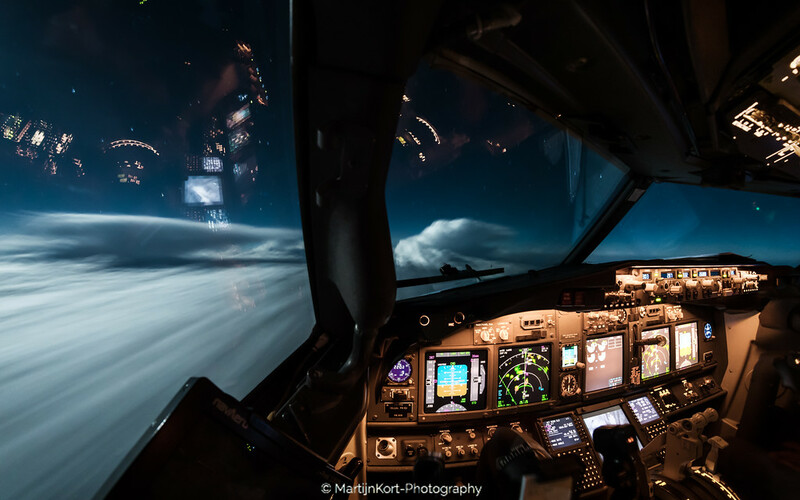 Especially since the cockpit is closed off from anyone, these views of our office remain unique as only a few have access to it. When the sun sets or when thunderstorms cross our path, that is the time I take out my camera. Safety first of course! I can only take pictures when the safety of the aeroplane and passengers is assured. 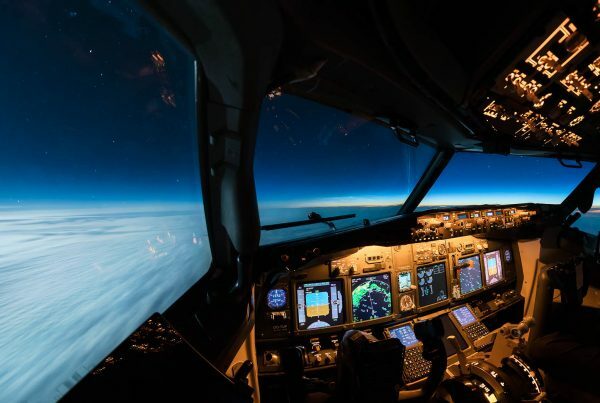 All pictures are taken during non sterile flight phases or taken with the camera mounted so I won’t have to pay attention to it and I am able to fully do my job as an airline captain. 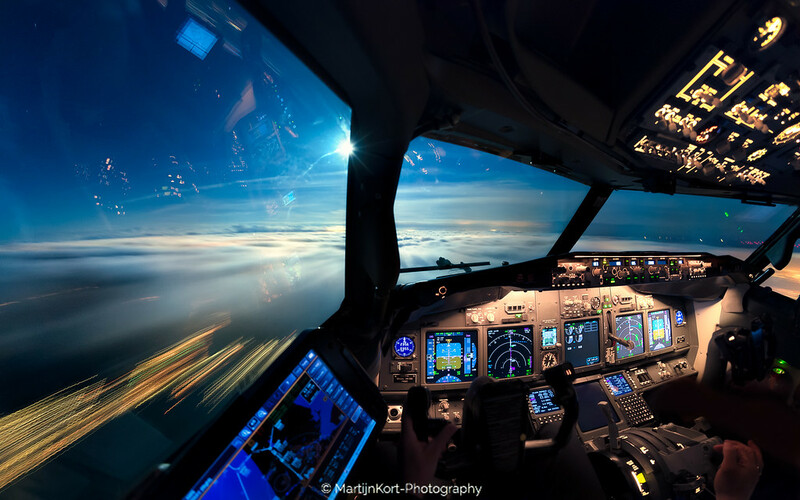 These are my favourite images from the cockpit. At night the world seems like a different place. 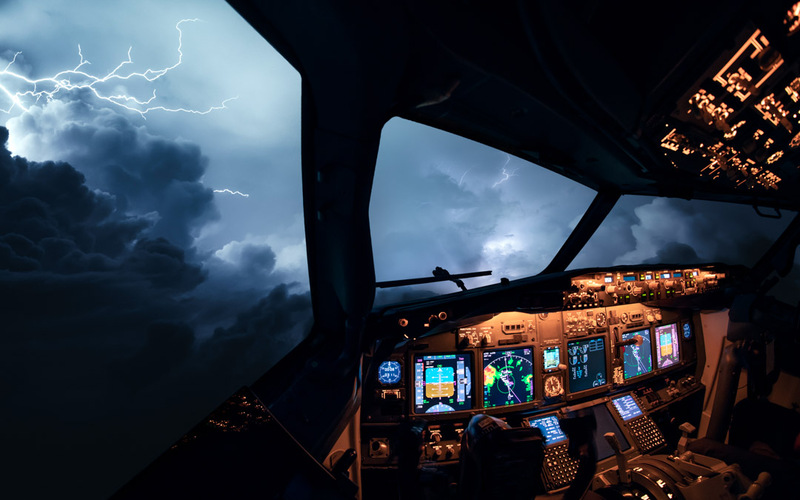 Thunderstorms become works of art and when the skies are clear and the Milky Way is visible you clearly feel how tiny you are in the universe. Flying here in this hostile environment with temperatures of -56C and without enough oxygen for us to survive only protected by a thin layer of glass and aluminium is something special and I love every minute of it. Just recently we received our new aircraft for the short and medium haul flights, the Boeing 737 Max 8. This aircraft is the successor of the Boeing 737-800 NG. The Boeing 737 Max is cleaner, makes less noice and has an updated cockpit. The main difference are the new Leap 1B engines which make the new Boeing 737 Max way more fuel efficient. Apart from making the airplane more fuel efficient they also look stunning! Here are the first images of the new airplane made during my first flight on it. 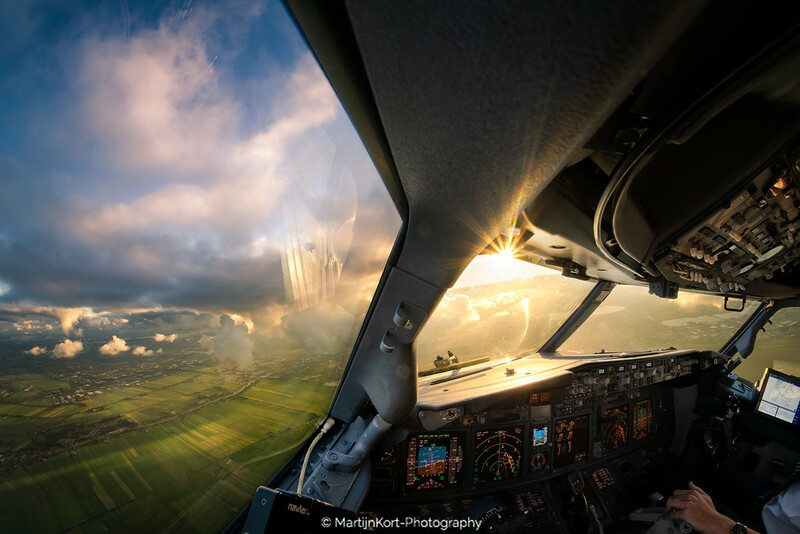 Sunrise, Sunset and the last moments before landing. 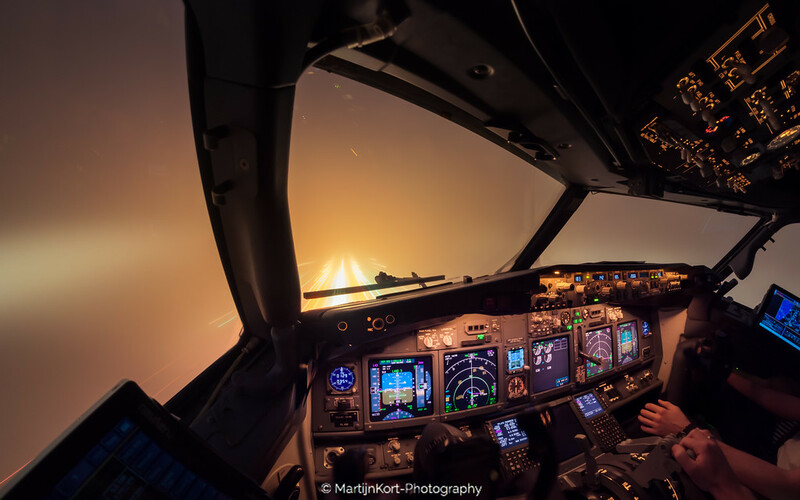 While performing an approach with low visibility we have to perform an automatic landing. Here the computer will fly and land the airplane. 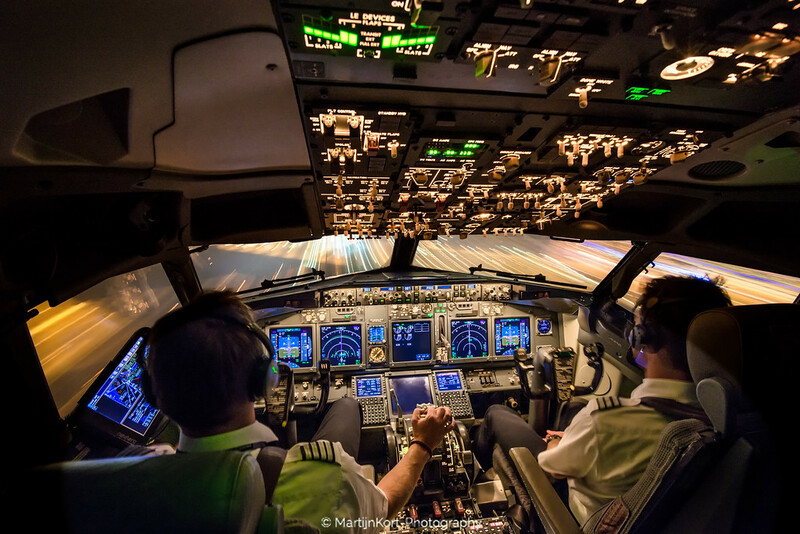 The minimum required visibility for us to perform such a landing is 200m and we have to see the lights at 15m height. 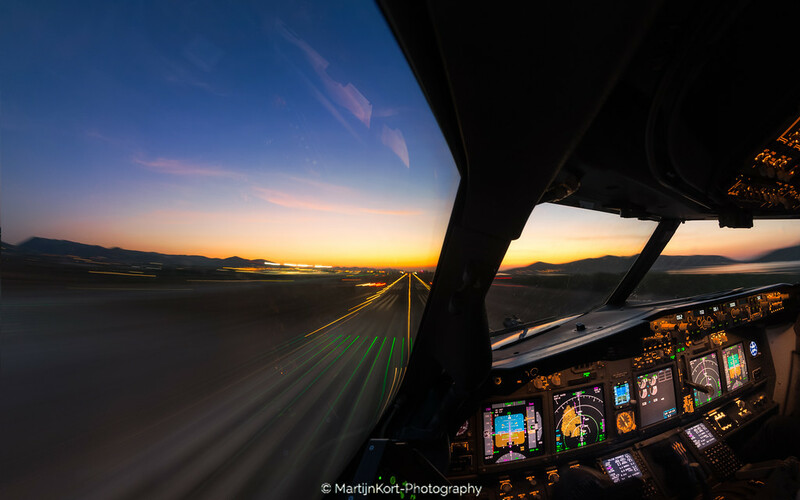 Can’t get enough of these cockpit photos? See my complete portfolio below. 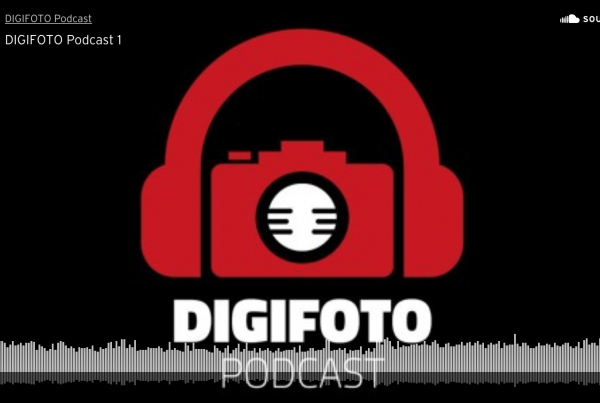 You can also get any photo printed on a variety of papers or aluminium.